This is not your average beauty school. Your clients can be pretty cranky. Sometimes they’ll even walk out mid-haircut. And you have to hold them down -- with only your legs -- while wielding an industrial-size clipper. 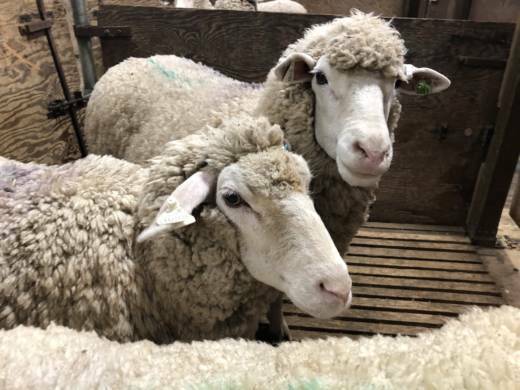 “We try to get the students shearing the first day because they make a lot of mistakes,” says John Harper, head of the UC Cooperative Extension Sheep Shearing School in Hopland. The Mendocino County school, about 50 miles north of Santa Rosa, offers a weeklong course held once a year in May. 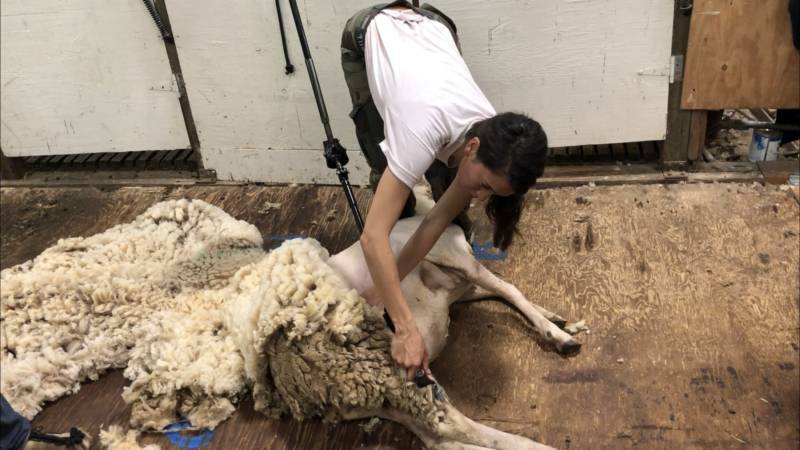 Harper and other instructors teach what’s known as the New Zealand style of shearing. 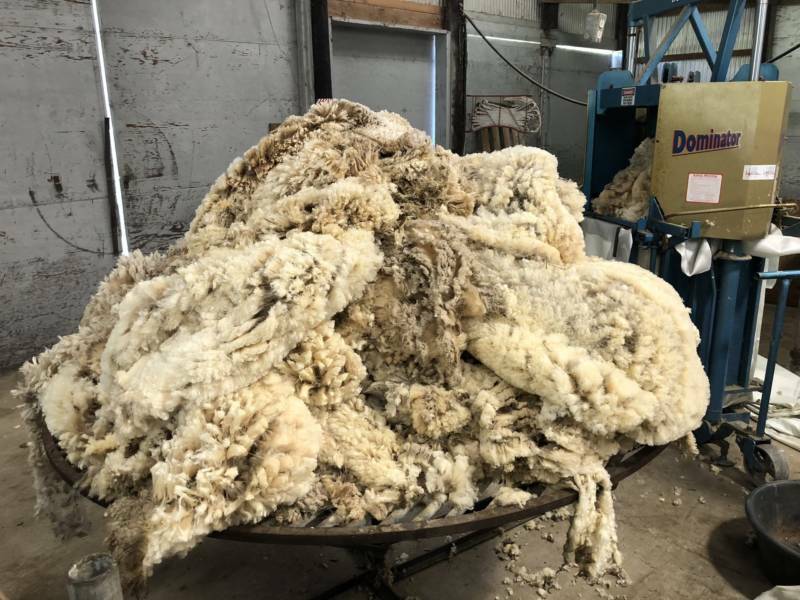 It causes the least amount of stress for the sheep and the shearer. And it involves some fancy footwork. That’s why he started the school in Hopland about 25 years ago. The trade is gaining some traction. Harper says that over the past decade, the school has gotten so popular that the online registration for it usually fills up within minutes. Another surprising trend? More women than men have been taking the course the past few years. Harper says that hasn't always been the case. Sheep shearing is traditionally a male-dominated job, but women shearers have a distinct advantage. But even with this advantage, it’s still hard work. Katy Gonda, who lives in Marin County, has taken the beginning class twice. 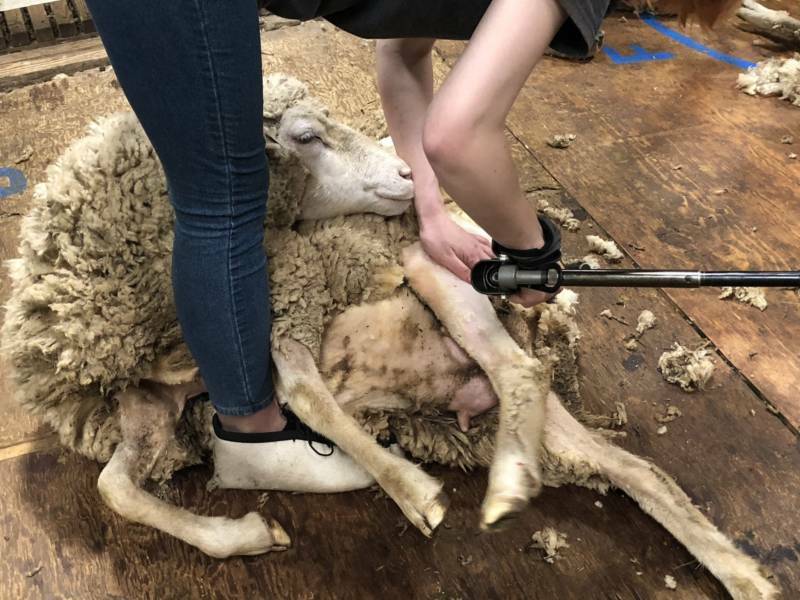 Gonda says she fell in love with sheep shearing after that, and couldn’t stop talking about it with friends and family. She’s back this year to take the advanced course. Elena Torres, from Puerto Rico, is a complete newcomer to shearing. Torres has always had an interest in agriculture and animal husbandry. She says her first day was a bit overwhelming. 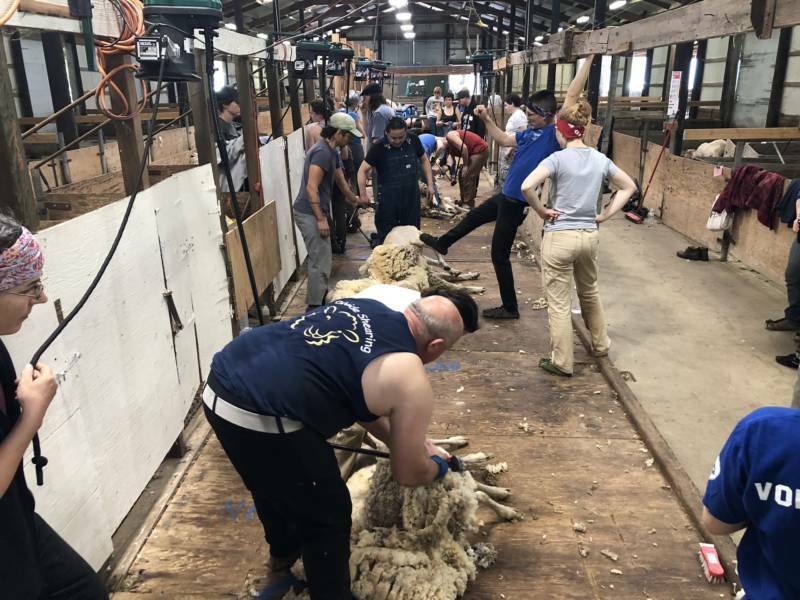 In the end, Torres was one of about two dozen graduates from the sheep shearing class of 2018.